The IAEA’s final assessment of the possible military dimensions of Iran’s nuclear program is revealing. The International Atomic Energy Agency (IAEA) released a highly anticipated report today on Iran’s nuclear program. The report, entitled “Final Assessment on Past and Present Outstanding Issues regarding Iran’s Nuclear Programme,” is available here (PDF). Critically, the report offers the IAEA’s final assessment on the so-called possible military dimensions (PMD) of Iran’s civil nuclear program. The PMD issue had been a core sticking point between Iran and international negotiators leading up to the July 14, 2015 Joint Comprehensive Plan of Action (JCPOA). 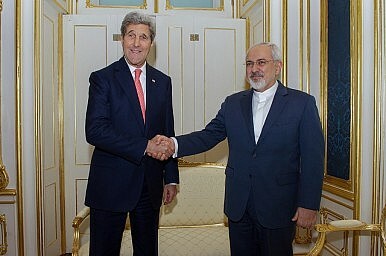 The JCPOA, known more commonly as the “Iran nuclear deal,” set out a multi-decade plan to restrict Iran’s civil nuclear program in exchange for Tehran receiving relief from United Nations, United States, and European Union economic sanctions (you can read more about the specifics of the deal here). The IAEA’s final assessment and investigation of PMD are part of a July 14, 2015 agreement in parallel to the JCPOA. The IAEA’s latest report is sure to spark discussion on Iran’s nuclear program. Indeed, Robert Einhorn’s prediction in the National Interest, ahead of the report’s release, is prescient: “The outcome will almost surely be messy and inconclusive, not pleasing to any of the parties concerned.” (Einhorn’s full article is excellent background on the salience of the PMD question for the Iran deal.) I haven’t made it through the report in full just yet, but a glance at the world of Iran observers on Twitter shows that there is plenty in this report to satisfy the confirmation biases of analysts both for and against the nuclear deal. For instance, as the Wall Street Journal highlighted in its coverage, the IAEA does note in its final assessment that Iran was carrying out “coordinated” work on nuclear weapons until at least the end of 2003 and possibly beyond then. If you’re against the nuclear deal, you may choose to highlight that portion of the report. However, the report also finds that after 2009, there are no “credible indications” that weapons work continued–something proponents of the deal have been eager to highlight. Interestingly, one of the points in the final assessment confirms what the IAEA had already noted in a 2011 report on Iran’s nuclear program, namely that as late as 2009, Iranian scientists had “undertaken computer modeling studies of various component arrangements, which were only specific to nuclear explosive configurations based on implosion technology.” Section E.8. of the December 2015 assessment and Section C.8. of the November 2011 report both highlight this development. Finally, there’s the issue of the “Parchin puzzle,” referring to a military site that analysts have long zoomed in on as the site of possible nuclear weapons activity. The final assessment (see section E.7.) notes that the IAEA completed the testing environmental samples from Parchin for possible indications of nuclear weapons-related activity on September 20, 2015. Per the report, the IAEA “did not detect explosive compounds or their precursors that would have indicated that the building had been used for the long-term storage of chemicals for explosives.” This is significant because it contradicts what the Iranians claimed Parchin was being used for at technical-expert meetings with the IAEA. Per Annex I of the final assessment, the IAEA and Iran have agreed to “another separate arrangement” on the issue of Parchin. You might ask what, if any, effect this IAEA assessment will have on the JCPOA, which is nearing “Implementation Day” soon, despite some delays. Though the report essentially confirms that Iranian negotiators had misrepresented the country’s previous weapons-related nuclear work, the assessment will clear the road for the implementation of the deal. Indeed, as Iranian Foreign Minister Javad Zarif noted in a recent press conference, the JCPOA can only move forward once the IAEA’s PMD case is closed. The JCPOA will move forward and Iran will still receive sanctions relief. The political debate on the merits of the nuclear deal and “trusting” Iran–certainly an important theme among U.S. critics of the Iran deal–will be reinvigorated by this assessment. Trump Withdraws US From Iran Deal, Reimposes Sanctions: Here's What's NextThe CIA's Newly Released Osama Bin Laden Files and the Iran AngleWhat Happens to the Iran Nuclear Deal Under Trump?How Trump Can Strengthen US Leverage Against IranHow Sincere Were Obama’s Threats to Stop Iranian Nuclear Proliferation?